(AP) A bill that would exempt Kansas colleges from a mandate that they allow concealed carry of handguns is stuck in committee after failing to win approval Tuesday. In an unrecorded voice vote, the Senate Federal and State Affairs Committee opted not to advance a bill from Wichita Democratic Sen. Oletha Faust-Goudeau. 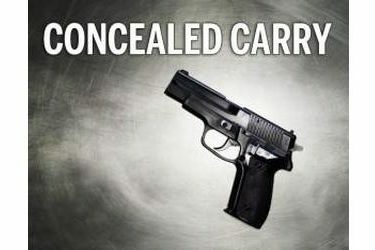 The bill provides a permanent exemption for public colleges and several types of medical facilities from a 2013 law that requires public buildings to either allow concealed weapons or provide security measures, like guards and metal detectors. Campuses had until July 1, 2017, to comply. Faust-Goudeau says she might introduce legislation that would require gun owners to get a license and training before carrying a concealed weapon.